3. URL of spoof website disguised as https://login.personal.wamu.com/verification.asp?d=1 . This looks secure but is NOT. 4. Spoof website traced to Czech Republic. 7. Very similar to another WAMU scam reported today.
" 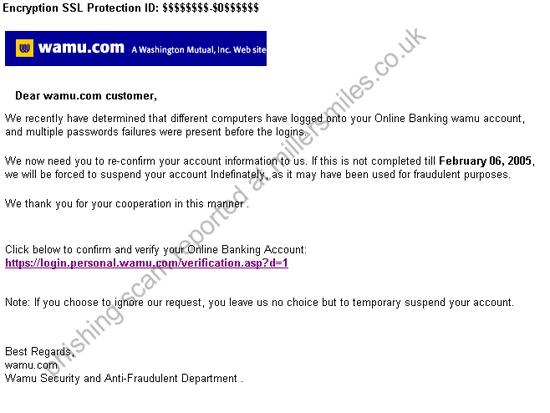 We recently have determined that different computers have logged onto your Online Banking wamu account"